Here at The Book Bird, we LOVE Scot Gardner’s young adult books. What’s not to love? Scot’s books feature compelling characters, sharp observations and sensitive handling of thought-provoking topics. 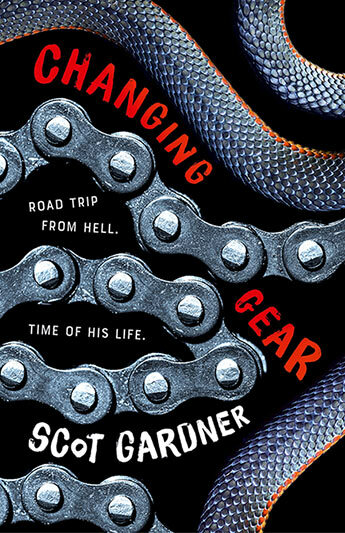 You can imagine our excitement when the latest Scot Gardner book, Changing Gears, arrived. Changing Gears is every bit as good as we’d hoped – perhaps even just a teeny bit better if that’s possible. It’s a story about friendship, broken hearts and the power of friendship. Main character Merrick Hilton’s folks think he’s studying for VCE exams, but Merrick has hit the road on his trusty postie bike. He’s desperate for time and space to heal and sort out what he wants from life. When the chain on his bike breaks, Merrick meets modern day swaggie, Victor, who not only helps with his bike, but with Merrick’s broken heart. Merrick is a fabulous character – courageous, yet so vulnerable, and his friendship with Victor though at times prickly, is heartwarming. This is a brilliant book for your teenager – in fact, you need to read it too.